Desperately Seeking Adventure: Wolverhampton: The Next Chapter! Can Wolverhampton rewrite its book? Has this West Midlands city really been dealt a bad card? Whatever the case may be I took the liberty to see what new businesses are being championed and to see where it all went wrong. Talk may be cheap but money talks louder than any joker, let's rewrite that book to see Wolverhampton return to a better day! Come on WV1! Kabanos Polish Delicatessen sure had my attention! The resurgence of independent businesses opening in Wolverhampton's city centre allowed Kabanos to make its stamp on Cleveland Street. After seeing the store in the Express & Star I wanted to see what all the fuss has been about! 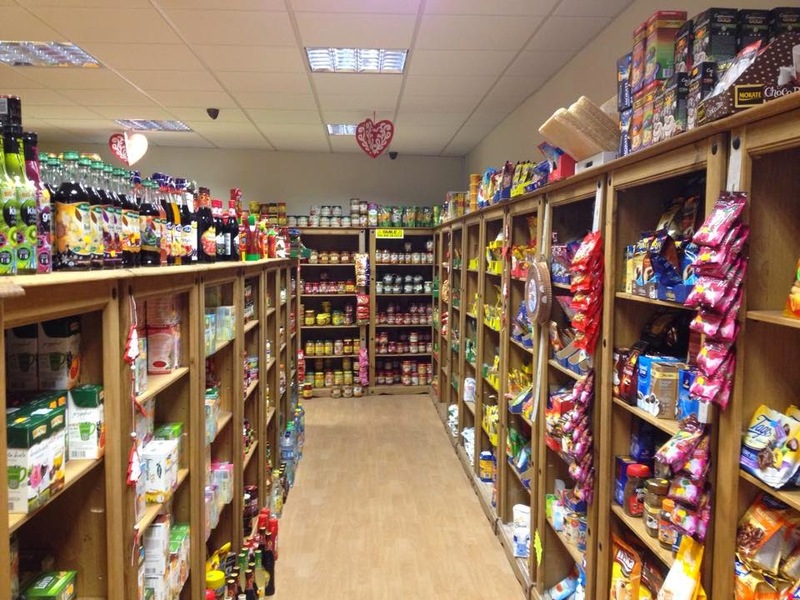 Wolverhampton's newest Polish food store sells a range of freshly baked treats, cold cuts of Polish sausage and hams and extensive range of Polish supermarket favourites. Time is money so it was great to see Kabanos busy with chattering customers supporting a independent Wolverhampton business. Making my purchases, I bought gingerbread chocolate cakes, a bottle of minty apple juice and two sachets of Barszcz soup. After visiting Krakow, Poland I've been intrigued about Polish food and with stores like Kabanos its easy to source such items! So, Barszcz also known as Borscht translates as beetroot in English. Tak! It's no secret that Wolverhampton's city centre has seen numerous outlets close and businesses cease trading completely. I learnt that Wolverhampton campaigned for the Portas Pilot bid to help breathe some new retail life back into our city, evidently winning I'm aware of Kabanos Polish Delicatessen and the Hungry Bistro so with that knowledge and my blog I wanted to investigate and give something back to my home city. The recession hit Wolves bad but like a phoenix I know that this West Midland city will prosper! Thanks Mary Portas for helping the city of Wolverhampton get back its dignity through your retail project! Back to Kabanos, I noticed a lot of different Polish products stocked such as Polish medicine, gossip magazines and other products made the small store feel authentic for the European market. I'm partial to Polish vodka so I may well be back to get myself a bottle, that reminded me I need more minty apple juice. Keep going Kabanos! Dziekuje K! Wolverhampton's Grand Theatre is rising, only looking better with age after 120 years in the business this theatrical powerhouse keeps on! I got the chance to review Eternal Love from the English Touring Theatre in February 2014. In 2015 the Grand Theatre will be welcoming the Bodyguard Musical National Tour starring Alexandra Burke as Rachel Marron. 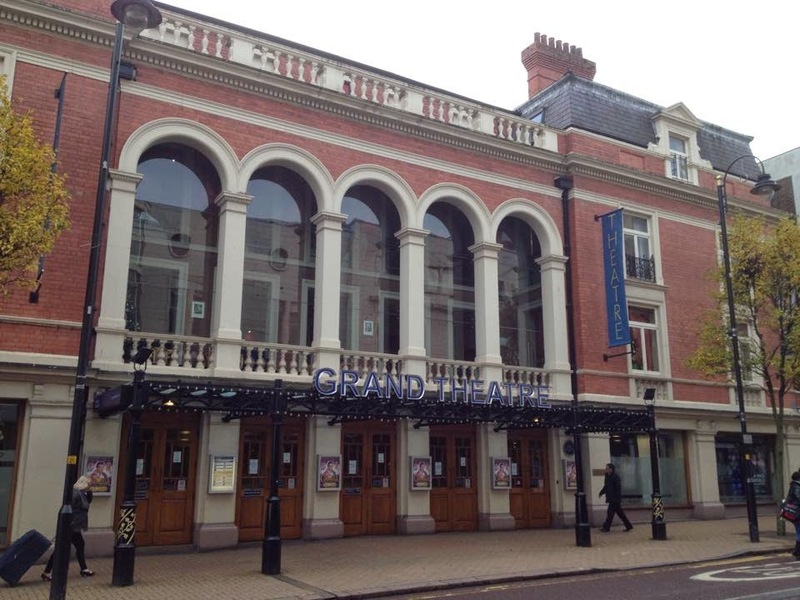 After its latest renovations Wolverhampton's Grand Theatre dazzled the afternoon I spent in Wolverhampton for this blog. 2014's pantomime reportedly sold £1m worth of tickets the weekend before the shows first performance. Throughout the years I have been to countless shows at Wolverhampton's Grand Theatre to see Blood Brothers, Hairspray The Musical and several pantomimes when I was a boy. Have you supported your local theatre? We all know that Wolverhampton wouldn't be anything without its theatre! Oh, yes WV1! It's been a tough few years for Wolverhampton if we're honest about things. Having somewhere to see a show to leave your problems at the door, take your seats and enjoy the show! I think the shows that Wolverhampton's Grand Theatre are pulling in of recent are getting bigger and better! It's no secret that Birmingham is our biggest competitor whilst being a close neighbour, but we shouldn't let the Hippodrome snap up all the top musicals?! No! The arts have been good to me in Wolverhampton as I was a member of a Youth Theatre Company that was known as Kuumba Arts Movement, my final show was at the Grand Theatre for one night only so I've experienced a show from both sides of the curtain! Away from the Grand I witnessed Wolves Pride put on a great event in September 2014 for the LGBT community to raise awareness and to celebrate our city. I have every faith in that rainbow focused event, four years in the making I know 2015 will see a bigger celebration! An eyesore or a piece of retro architecture? Wolverhampton's high level railway station has had shade thrown from every avenue, its grey and quite frankly belongs back in another decade. Wolves was finally given a new bus station in 2011 so talk of a new railway station is rife! I'm a firm believer that if our gateways are fresh, modern and inviting the passengers perception of their destination improves, its true Wolves is in dire need of a new high level railway station. One different mode of transport the Midland Metro has prospered with extensions being built from a new Wolverhampton transport hub to the all new Birmingham New Street Station. It sure looks like the much anticipated second stage of the Wolverhampton Interchange project that's set to be completed throughout 2015. 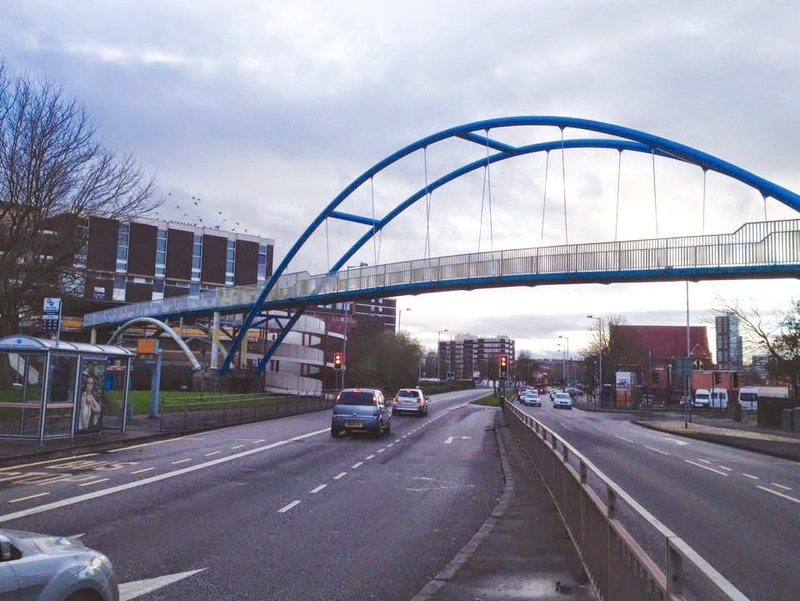 I want to see the Metro linked with a new railway station to increase Wolverhampton's connectivity! Let's do this Wolves! Let's rewind the clock back to 1854 with the advent of Wolverhampton's low level railway station transforming rail travel from our city to London and beyond. A few years down the line or so longer the high level station pushed the orginal station to one side, eventually closing in 1981 with only services to Birmingham Snow Hill. Grand Station, once part of the low level station now serves as a wedding, conference and function venue breathing new life into Wolverhampton's Eastside. Adding to the low level station site there's a Premier Inn hotel, Bluebrick restaurant and modern apartment developments. Good! To cut a long story short its great to see some good come out of the dismal state Wolverhampton has been left in by the recent economical mess, there's more to be regenerated and identified. When all is said and done, we can say that with improved and modern transport links Wolverhampton's image will improve sooner. Do keep moving Wolverhampton forwards! Heath Town, Wolverhampton usually makes the papers for all the wrong reasons but I was approached to publish a blog to raise the profile of this colourful estate, I only endorse something that I can believe will work so with an air of caution I made my way down to the Heath Town estate to see what's changing. I noticed a new development site that was cordoned off beside the Chervil Rise housing project, judging by the building site it looks very positive for the neighbourhood. Heath Town has an edge about it that's for certain, giving the close proximity from Wolverhampton's city centre and Bentley Bridge it looks to be a promising situation. Who knows? I learnt that West Midlands Police are based in one of the flats at Chervil Rise and actively take control of any suspicious activity, bolstering the changing positive way of the Heath Town housing projects. Keep the fire way from this town for the future! Throughout the process of this blog I have seen places in Wolverhampton that I hadn't before, well I wouldn't exactly go out of my way to see Heath Town as close as I have done but I've learnt not to judge the situations of others. I know that Wolverhampton's next chapter will be prosperous and the changes that this West Midland city will see even better days compared to the last few years. From my Polish purchases at Kabanos Polish Delicatessen to understanding more about the Portas Pilot Bid that is helping Wolverhampton's retail sector getting back on its feet. Wolverhampton will experience the glory days that it once did before the economic downturn changed things. Transport is improving in Wolverhampton each year but more needs to be done because we can't move forward without what I've expressed! If the arts has anything to do with Wolves's next chapter we're in for a laugh! Are you ready for Wolverhampton's next chapter?! On to pastures new WV1!